There appears to be a shift happening in this year's auto market: consumers are shying away from rising new vehicle costs. But the demand for cars hasn't gone away. More and more people are turning toward certified pre-owned (CPO) vehicles. Is your dealership prepared to take on this changing market? During a recent Cox Automotive industry overview for journalists, Charlie Chesbrough, a senior economist for Cox, offered some important insights that bear watching during 2019. "The question you hear all the time from consumers is, 'Who can afford these new vehicles?'" Chesbrough said, according to WardsAuto. Even though the auto industry saw better new car sales than predicted for 2018, analysts expect those numbers to drop this year. Cox Automotive is predicting around 16.8 million new vehicle sales for 2019, down from 17.2 million in 2018. Used car sales in 2018 came in at a whopping 40 million sold. The monthly payment is a huge factor that drives car-buying decisions, according to Jonathan Smoke, the chief economist of Cox Automotive. He also noted that in 2018, the average monthly new vehicle payment hit $533. Because of this, many consumers are turning to gently used cars. These vehicles, typically lease turn-ins with low mileage that are only a few years old, often offer buyers what they're looking for, at a fraction of the cost. According to a new study by J.D. Power, mainstream CPO car buyers showed brand loyalty, trading in for the same nameplate 35 percent of the time, five percent more than non-certified used vehicle buyers. The same study also found that current CPO owners show more willingness to purchase a CPO car again than do current owners of new and non-CPO used vehicles. However, the study found that 65 percent of their respondents are unaware of CPO initiatives offered by manufacturers. So, if your dealership has a CPO program, it's important that you make sure your customers know about it. Get the word out – CPO programs can't make money for you if consumers don't know they exist, or if they don't know the difference between a CPO vehicle and a regular used car. 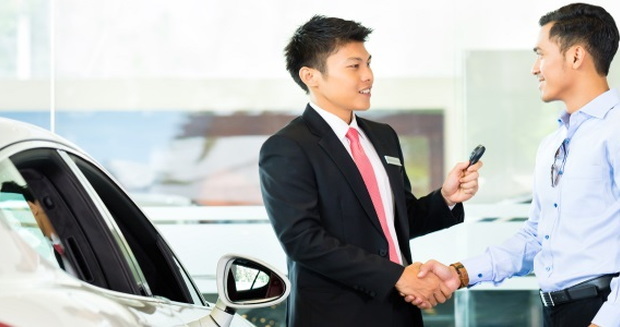 Often, dealerships are reluctant to promote their CPO programs, for fear customers are going to be swayed to purchase CPO vehicles over new ones. But with the trend of today's auto market shifting with rising new car costs, promoting your CPO vehicles may mean the difference between CPO sales and no sales. Certify more used inventory – If you have a large used inventory, but not much in the way of CPOs, why not invest in growing your certified pre-owned selection? The upfront costs can come with a big reward. According to Cox Automotive, 64 percent of customers that purchase CPO cars say that certification is a big part of their decision. Recent JD Power studies also found that consumers feel the extended warranty is the most important factor of a certified pre-owned vehicle. With the shifting trend toward CPO, the more of them you have on hand, the more chances you have to grow your bottom line. Find and fix listing issues – If your CPO models are listed on your website with a simple Certified Pre-Owned sticker slapped on them, that may not be enough incentive for buyers. Don't take for granted that all buyers know the difference between a CPO and a regular used car. Listings should let customers know something of what they're getting, and don't forget to make sure all listings have a photo and a price. By making the choice to focus on your CPO inventory, you can gain new customers in need of less expensive alternatives to the costs of new vehicles. If you're worried about gaining the consumers you need to get your inventory moving, let Auto Credit Express help. As a top lead generator for over 20 years, we can get consumers that are ready to buy in your door. We offer a wide range of services that can help you support our new, used, and subprime leads, too. To see what we can do to help drive consumers into your dealership, call us today at 888-535-2277. Or, you can fill out our contact form online, and we'll get in touch with you. Still Not Convinced of the Value of CPO?